Indigenous North Americans (INA) have high prevalence rates of severe erosive rheumatoid arthritis (RA). We have established a cohort of unaffected first degree relatives (FDR) of INA RA patients who are at high risk for future RA in order to evaluate the preclinical events leading to disease. 14-3-3 eta, an extracellular ligand that activates intracellular signalling pathways associated with RA, is found in seropositive erosive RA and may predict future RA in subjects with arthralgia. In this study, we sought to evaluate 14-3-3eta in INA with RA, and in asymptomatic FDRs prior to the onset of synovitis. Methods: FDRs are reviewed annually for the development of synovitis. Serum 14-3-3eta levels were measured by commercial ELISA in 22 INA RA subjects and in serial samples from 19 FDR (10 who developed synovitis(FDR-S)). Titers higher than 0.16 ng/ml were considered positive. Anti-citrullinated peptide antibodies (ACPA) were measured by ELISA and rheumatoid factor (RF) by nephlometry. Percent positive or median with interquartile range (IQR) are reported. Subject groups were compared using Chi square tests and odds ratios with 95% confidence limits (CL) reported and using Mann Whitney U tests. Correlations were assessed by spearman tests. Changes in titers over time were assessed by Wilcoxon signed rank tests. INA with RA were more likely to have elevated serum levels of 14-3-3eta than their FDRs (15/20(75%) vs 3/19(16%) OR 16 CL 3.2-78.9) p<0.001). Titres ranged from 0.16-20ng/ml (median (IQR) RA 1.24(6.4))vs FDR 0.16 (0.05)ng/ml p=0.001). In RA, 14-3-3eta positivity was not associated with ACPA (4/5 (80%) without ACPA vs 12/16 (75%) with ACPA p=ns), RF (13/16 (81%) with RF vs 3/5( 60%) without RF p=ns) nor with CRP or joint counts. Titers of 14-3-3 correlated modestly with RF titer (spearman rho 0.44 p=0.05) but not with other clinical activity indices. Three pre-disease serum samples were tested for each FDR-S; 2 for each non-transitioning FDR. RF and ACPA positivity generally preceded 14-3-3eta positivity. Five FDR-S initially negative for 14-3-3eta became positive up to 46 months prior to or at disease transition; one FDR-S was positive at all three visits. In FDR-S, 4 developed ACPA and 14-3-3 at the same time, 2 developed ACPA before 14-3-3eta. The two FDR initially positive for 14-3-3eta at a low titer (both <0.25) were negative on repeat testing and have not developed synovitis after 3 and 8 years. Significant changes in 14-3-3eta titer between first and last sample (taken at time of transition) were seen for FDR-S (median (IQR)0.16 (0) vs 0.37 (2.54) ng/ml p=0.04) but not for FDRs who remained arthritis-free. In this cohort of INA RA and their at risk FDRs, 10 FDR developed clinical synovitis. 14-3-3eta was found primarily in the setting of disease but did not associate with RA activity. In pre-clinical RA 14-3-3eta was usually preceded by RF and/ or ACPA and 14-3-3eta positivity generally occured at or near the time of disease onset suggesting it may be a useful predictor of imminent RA. Disclosure: C. Hitchon, None; I. Smolik, None; X. Meng, None; D. Robinson, None; H. S. El-Gabalawy, Canadian Institutes of Health research grant, 2. Hitchon C, Smolik I, Meng X, Robinson D, El-Gabalawy HS. Serum 14-3-3eta Are Elevated in Indigenous North Americans with Rheumatoid Arthritis and May Predict Imminent Synovitis in Their at-Risk First Degree Relatives [abstract]. Arthritis Rheumatol. 2015; 67 (suppl 10). 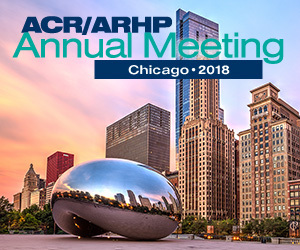 https://acrabstracts.org/abstract/serum-14-3-3eta-are-elevated-in-indigenous-north-americans-with-rheumatoid-arthritis-and-may-predict-imminent-synovitis-in-their-at-risk-first-degree-relatives/. Accessed April 20, 2019.